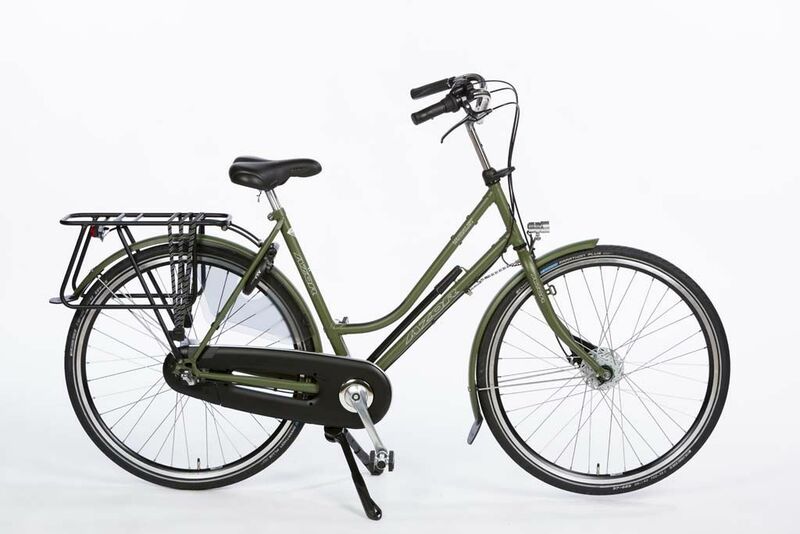 Azor New Orleans 3 vernellingen terugtraprem lugframe dames 2019 kleur matlegergroen met Jumbostandaard en drager optie 24. 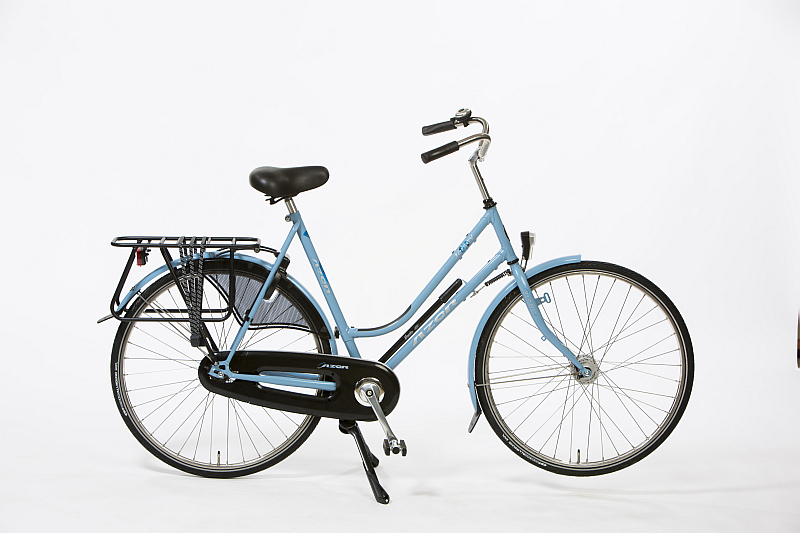 Azor make high quality Dutch bikes at their factory Drenthe. These are no-compromise, heavy-duty bikes suitable for intensive daily use. You choose the frame, colours, tyres, brakes, and lights you want — Azor custom build it for you with care and attention, using only the best quality materials. They really are classic, top-quality bikes. Tags: Azor, Azor Jersey Lugframe.